When it comes to experience in the home security industry, AT&T has very little–one year, in fact. Compare that to ADT’s 140 years of experience and you’ll quickly see why ADT is America’s most trusted home security company. Not only that, but ADT service is superior, featuring three times as many company-owned monitoring centers as AT&T in addition to nationwide coverage. AT&T only offers home security services in select markets. Finally, although both companies offer remote access and video surveillance, ADT is the only major home security company that gives you Voice Control, which allows you to control your security system with the sound of your voice. Why should you choose ADT monitoring over AT&T? Much like AT&T, Xfinity is a newcomer to home security. With only four years of real-world experience, Xfinity is not a recognized home security brand like ADT monitoring. Plus, just because ADT has got way more years under its belt, doesn’t mean that the equipment provided through Protect Your Home, an Authorized Premier Provider, is outdated. In fact, ADT and Xfinity both offer video surveillance and remote access, but only ADT monitoring offers Voice Control technology–allowing you to control your security system with the sound of your voice. Couple that with ADT monitoring’s top-rated service, which features six company-owned monitoring centers and nationwide coverage, and you’ll see why over 8 million American homes trust ADT monitoring. Why should you choose ADT monitoring over Xfinity? Vivint may have more home security experience than AT&T and Xfinity, but it still pales in comparison to ADT monitoring. What’s even more drastic is the difference in satisfaction guarantees. With ADT monitoring, you have six months to decide whether or not your security system and 24/7 monitoring are right for you (certain restrictions apply). In contrast, Vivint only gives you three days to settle on whether or not you’re satisfied with your home security. And, although both home security companies use company-owned monitoring centers, ADT monitoring owns three times as many centers spread throughout the US. That means that you’ll never have to worry about missed connections or dropped calls because ADT has your back no matter where you live. Why should you choose ADT monitoring over Vivint? ADT has been helping keep families safe for over 140 years, when Edward A. Calahan first invented the telegraph-based home alert system in New York City. Since then, ADT has been helping to protect homes with the latest technology available. Today, ADT has moved on from telegraphs to wireless technology and the ability to control your home security system from your cellphone. 140 years of home security experience. More experience than AT&T, Xfinity, & Vivint combined. The average security company today has only been in business for 10-15 years–like Vivint, for example. Even worse, some companies, like AT&T and Xfinity, have less than five years of home security experience. 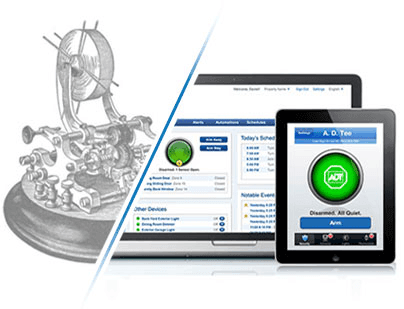 Servicing over 6 million US homes, ADT is still the most trusted brand in home security monitoring. But don’t take our word for it, you have a full six months to decide whether or not ADT monitoring is for you. That’s five more months than any other major home security company. America’s most trusted home security. 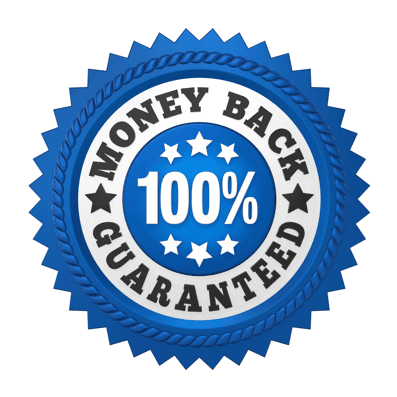 6-month money-back guarantee (certain restrictions apply). 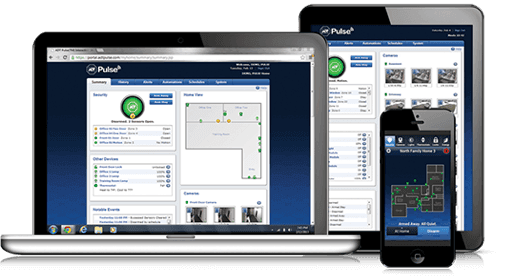 Do you really want all your home security needs routed to a third-party monitoring center? 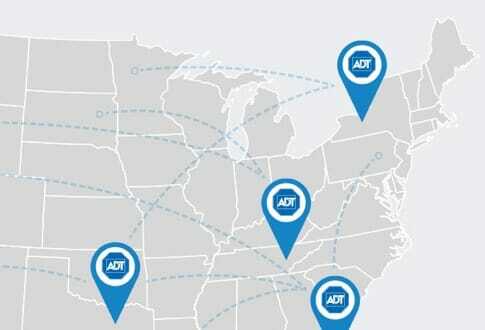 With ADT monitoring, you’ll never have to worry about missed connections again because ADT owns six monitoring centers spread across the US–that’s significantly more than Vivint and AT&T. By keeping monitoring in-house, ADT can control for quality and make sure that you get the best service possible. 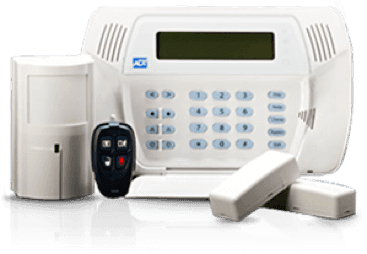 Unlike most other home security companies, ADT monitoring features nationwide coverage. That’s right, newcomers to the security industry like AT&T and Xfinity are subject to geographical restrictions. This means that when you go with ADT monitoring, you’ll easily be able to transfer service and equipment if you choose to move anywhere in the US. The equipment selection includes security sensors, security cameras and wireless control panels. ADT monitoring in conjunction with Protect Your Home equipment keeps pace with other security companies like Vivint and even edges-out the competition in several ways because of ADT voice-enabled technology. With an ADT Pulse® package, all you have to do is download the ADT Pulse® app and you’ll be able to use your voice to arm and disarm your system, among other things. You can’t get that with AT&T, Xfinity, or Vivint. In addition, Protect Your Home, an Authorized Premier Provider, has specials on its top-rated home security systems. When you order ADT monitoring today, you can get your security equipment for FREE–an $850 value*. Your FREE home security system includes a motion sensor and control panel. Click here to learn more about your FREE home security system and ADT monitoring specials that the other major home security companies don’t offer. Call 1-855-218-9138 or complete the form for a free quote.